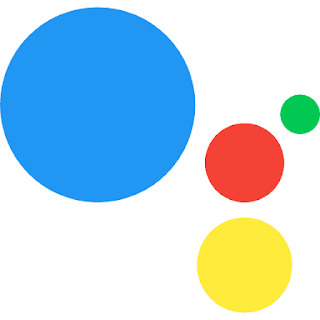 Hey if you are a Android user then you need a assistant to control your​ mobile perfectly with your voice when you shall busy. Suppose when you busy that time anyone call you and you want receive that call but you can not. That time you must need a assistant who receive your call. Well, assistant name is Google assistant. This will be your personal assistant. Who'll do your work with your voice what you give her some special commands. Ok let's talk about, how to get this on your mobile and how to use this perfectly? That's pretty easy, if you have any Android and that Android have 6.0(marshmallow) to 7.0 (nughut) or 8.0 (orio) then you already have this. But have a one way to use Google assistant. You need install "custom ROM." 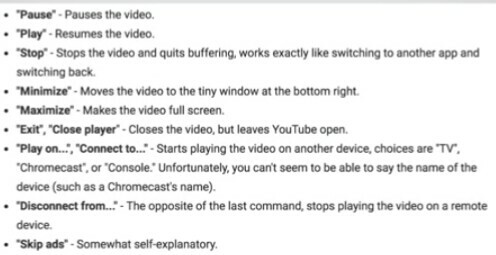 If you don't know that what is custom ROM then you'll go to youtube the search this. You'll get more than thousands videos to know to how to install custom ROM in your KitKat or lollipop devices. Ok, let's talk about main topic. You need to know some commands. 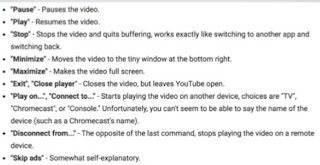 When you play video. Like this picture. You can download this picture. Press and hold home button and there you go. You can see you personal assistant is ready you help you. First you need to say her ..."ok Google" and then you can use it. You can control your mobile without touching. And you have to know some basic English to speak with her. If you don't have this then you can download from Google play store. First of all you need to go PlayStore and search Google assistant. And then you can download from Google play. That's for all in this article guys. I'll see you in the next one.